Spring is in the air, and it won’t be long before electric bills are going up as we turn on the air conditioning for the cooling season. 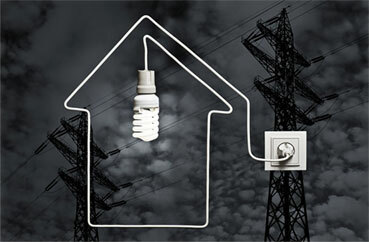 You can get a head start on energy savings with these tips. If you need to buy a window air conditioner, look for one with the Energy Star label that can cut your cooling costs by up to 20 percent. And when you’re placing that unit, try to use a window on the north side of your home. Less direct sunlight will allow your air conditioner to work more efficiently. Pledge to keep the central air thermostat set at 78 degrees. It pays off, because just a few degrees higher can save you 15 percent on energy costs for air conditioning. And whenever possible, skip the AC and use portable fans and ceiling fans that let you keep your cool at a bargain price. Speaking of thermostats, check the one on your water heater and make sure it’s set no higher than 120 degrees. That’s plenty warm for a steamy shower and also reduces the risk of someone being scalded by hot water from the tap. Remember to keep the heat out by closing blinds or drapes during the day. And nighttime is the right time to come clean. Wait until the sun has gone down to do your laundry or wash dishes in a dishwasher.